After Vice President Mike Pence traveled to South Korea to attend the PyeongChang Winter Olympic games, he asked for a private meeting with openly gay Olympic figure skater Adam Rippon. Rippon’s response made headlines. He refused to honor Pence with that private meeting even though Pence flew thousands of miles to be part of the opening ceremony and see the athletes. Although Whoopi and Joy think comparing Pence to one of the people in Adolf Hitler’s party was a fun metaphor, other people were quick to shut it down before things go out of hand. In response to the reaction, an openly gay journalist wrote an editorial in Tablet magazine condemning Whoopi and defending Pence. 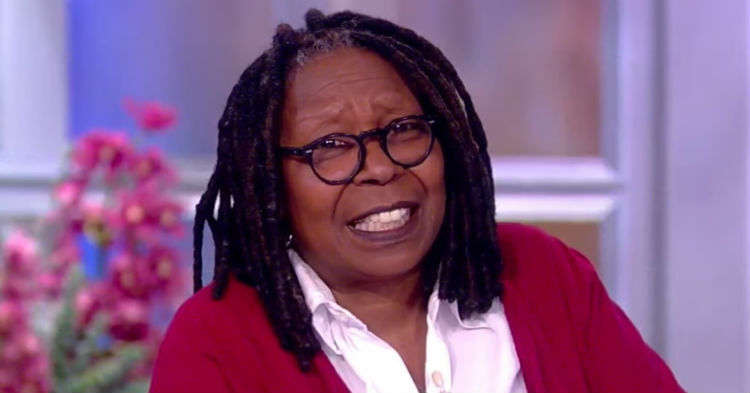 Although journalist James Kirchick is not a fan of the Trump administration or Pence’s conservative views, he thought Whoopi’s Nazi comparison was an example of “moral idiocy” and should not be repeated. Hitler said those types of things about Jewish people. After attending the opening games and spending time with the Kim “Rocket Man” Jong-un’s sister, Mike Pence announced that he wants to open relations with North Korea. What do you make of this gay reporter jumping to Pence’s defense after Whoopi’s “Nazi” attack?